Use the form below to contact tour Blue Lagoon Cruise - Cyprus directly. 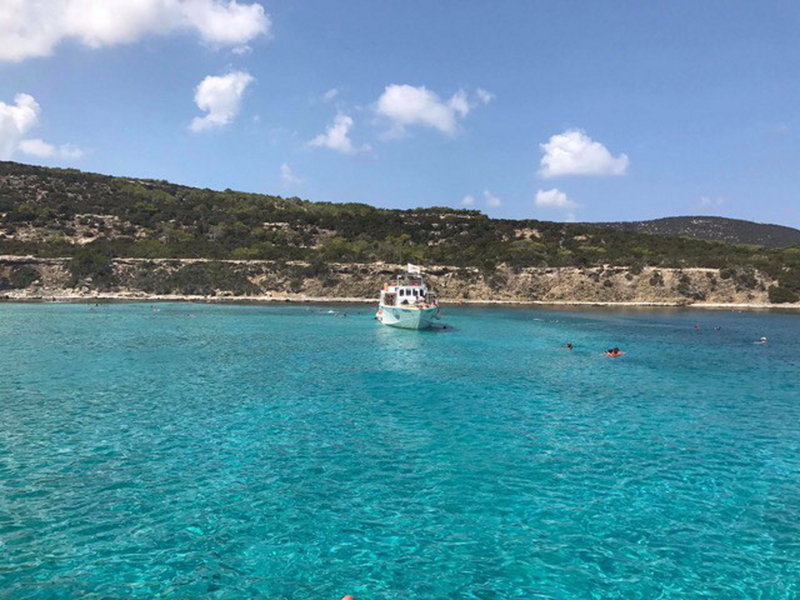 Blue Lagoon is the largest natural bay in Akamas Peninsula and it is located in the centre of the famous Akamas National Park. This laggoon has become one of the most popular spots in NW Cyprus due to its clear, dazzling, turquoise water and the white sandy seabed. The bay is surrounded by various wonderful coves and attractions, which make a journey through the national Park captivating. The stunning Chamili Island and reef, grown in the middle of the bay, are buzz with sea-life and snorkelling is a must. Fish, assorted types of shells and different aquatic life decorate the impressive seabed. 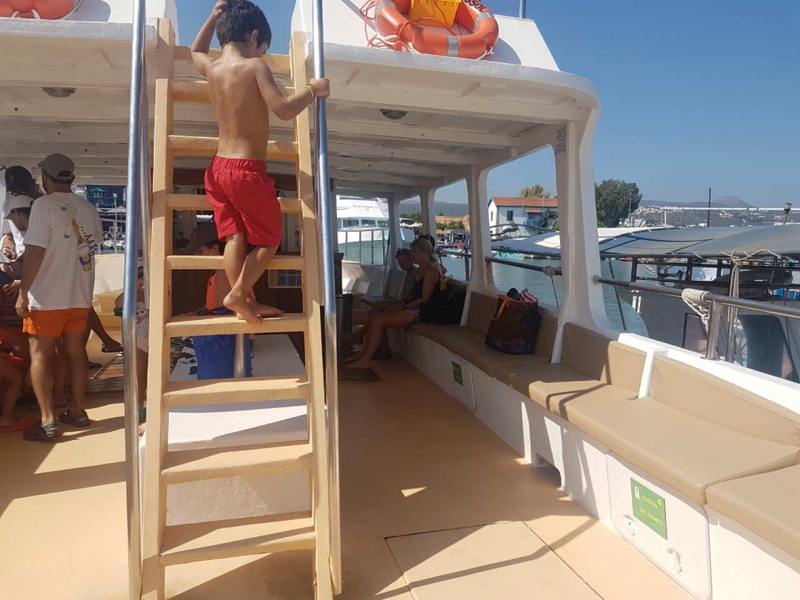 Daily boat trips are organised from Latchi Harbour on the seventeen metres long Atlantis Cruiser. The Crew is comprised by the Captain, the Deck Officer and a charming Barman, who will help you chill out on the 45 minutes sail from Latchi to the idyllic Blue Lagoon, with various exotic cocktails and drinks. The cruise lasts 3 hours. During this time, wine, juice and fresh fruits are offered to the guests free of charge. You can swim in the crystal waters of the Blue Lagoon for 1 ½ hour (ask for masks and snorkels). There is a bar on board where you can try fancy cocktails, ice creams, soft drinks, coffees and snacks. 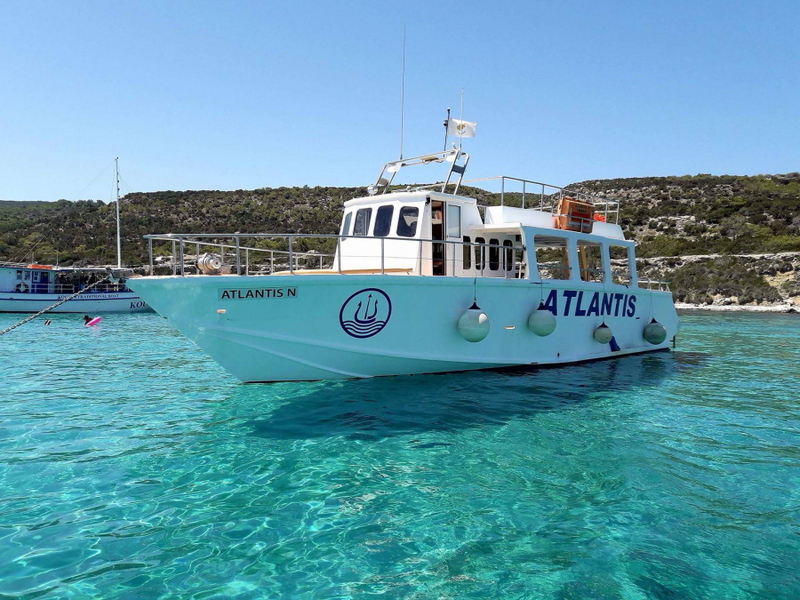 Atlantis departs from Latchi Harbour and reaches Blue Lagoon in 45 minutes. You must be there at least 15 minutes prior to departure. • Special Offers for groups. Bookings will only be accepted at least 24 hours prior to departure.